When the national team in football is doing badly Denmark’s favorite spectator sport is handball. Especially if the team is doing well as in 2011 when 3 million Danes (60% of total pop.) watched the European Championship finale. Danes will say that the sport is invented in Denmark but that’s not completely true. In any case it is today the third most played sport with 119,000 players nationwide, only surpassed by football and badminton. This weekend we were again lucky to get our hands on tickets to a match by the local professional sports team. 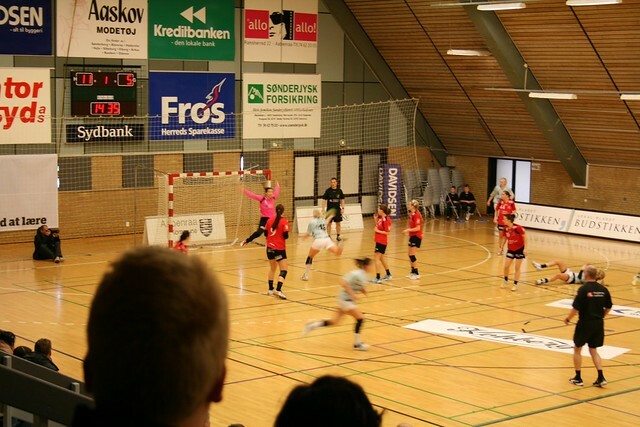 Last time it was the men’s football team in freezing Haderslev we went to see, this weekend it was women’s handball in Aabenraa. The local team, SønderjyskE has been playing in the 1st Division in the last season and the game we went to see was in the qualifying round to make it into the best league Håndboldligaen. (The handball league system is quite complicated.) The team they were playing were Aalborg DH, a team that is pretty good and beat SønderjyskE last time they met. 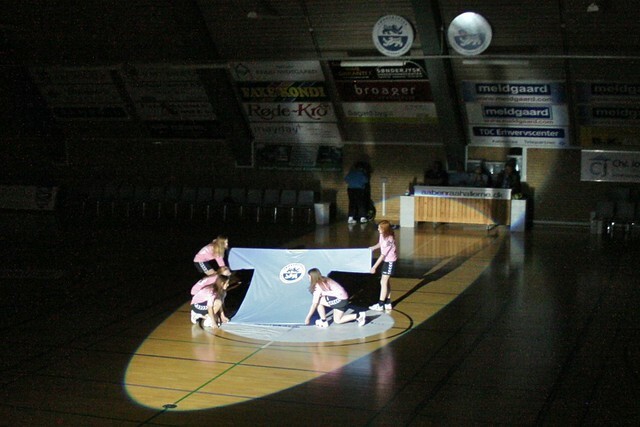 After presenting an oversized team jersey and raising it on the back wall the players ran onto the court and the game began. We had good seats from where we could see the whole court and like a tennis match watch as the game went from one end to the other in fast pace. SønderjyskE got ahead from the start so that ensured a good atmosphere in the arena. Every time there was a goal or another short break in the game the sound system would boom with schlager music like Lost Souls and Tørfisk. The local team stayed ahead throughout the game and at one point had a 12 goal lead before they let off their best players and slacked a bit. The end result was a comfortable 35-29 victory to the home team and they are well on the way in the qualifying round. I’m surprised how much I enjoyed both this game and the last football game, because I’m not really into watching sport except when there are the big tournaments. If I were to compare the two experiences I’ve had watching the local pro football and handball I prefer the handball. The game is faster (both on court and total time at event), it’s indoors, the arena is closer and the beers are cheaper. 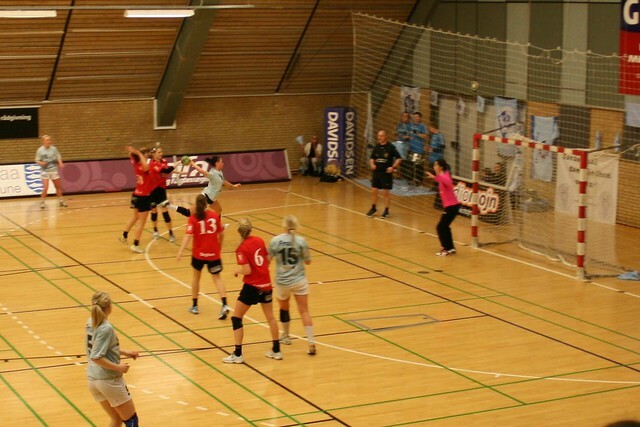 This entry was posted in Sports Watching and tagged Aabenraa, handball, sport, sønderjyske by Michael. Bookmark the permalink.